#BloggerOpp - Announcement - Home Touches Giveaway! 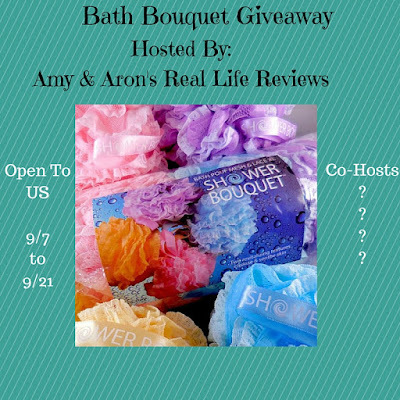 #BloggerOpps Announcement - Bath Bouquet Giveaway! Any payment needed please send to grovesamy81@gmail.com as a gift, Bath in the notes Posting will be required within 24 hours of launch. Oh I LOVE things for the bath!!! If you do too or maybe you know someone that does, sign up and get involved and help promote!! #BloggerOpp Announcement for the 5-$100 Amazon Gift Cards Giveaway!! #BloggerOpp Announcement for the 2nd Annual Best Sweetest Day Ever Giveaway! Welcome to the iCoffee OPUS Giveaway! Hosted By:My Silly Little Gang Co-Hosted By:Deliciously SavvyTales From A Southern MomAmy & Aron's Real Life ReviewsBlogger Nicole and Mom Knows BestPLUS a Big Thank You to all blogs promoting this fabulous giveaway! Thank You! Here is a fabulous giveaway that I'm sure you're going to want to enter! One lucky winner will receive an iCoffee OPUS Single Serve Brewer! (ARV $139.00) Read below to learn a little more about the product:SpinBrew™ Technology*– Spins, steams & stirs right inside any K-compatible cup to brew coffee that always tastes Impossibly Smooth™.Dial-a-Brew™– From 4 to 12 ounces in ½ ounce incrementsLarge 75 ounce water reservoirEnergy Saver mode and automatic shut-offRemovable drip tray allows for larger mugs, including most travel mugs All iCoffee® single serve brewers are compatible with every K-Cup®, OneCup™, RealCup™ capsule, and all private label cups**. #HumpDay - first one of the new month! 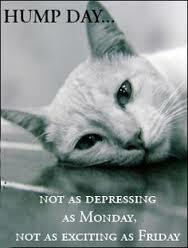 Good morning, today is the first Wednesday (Hump Day) of the new month...how do you feel today?? I'm doing pretty good! Got up early this morning ready to go! Already did some chores and cleaned out my car! And went outside and took pics! So yes definitely on a roll this morning, let's just hope it stays that way all through out the long day. I love this quote. And its really so true!! I have been told most of my life by who should of been the most inspirational or one of the most influential people in my life, my mother, that I couldn't! That I won't be anything, that I'm not this or that or whatever else that I won't and wouldn't ever amount to anything. So far I have done nothing but prove her wrong and I am very proud of myself and the things that I've accomplished! Maybe not the biggest of deals or goals but, they are my goals and I have done most of what I wanted to do and more for other ones!! So keep your head up, always look up and be proud of who you are and the person that you've become and are and as long as you are happy with yourself that is all that matters!! 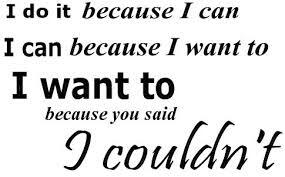 It took me a while to realize that others what they say or think doesn't matter b/c they aren't walking in my shoes! #BloggersWanted - Announcement - iCoffee Opus Giveaway!! Blogger Opp: iCoffee Opus Giveaway Sponsored by: iCoffee Hosted by: My Silly Little GangOne lucky winner will receive their very own iCoffee Opus Single Serve Brewer! The iCoffee Opus Single Serve Coffee Brewer has many features like: 75 ounce water reservoir Dial-a-Brew™ – from 4-12 ounces in 1/2 oz. increments Energy Saver mode and automatic shut-off Removable drip tray allows for larger mugs, including most travel mugs SafetyLock™ locks the single-serve brew head during the brewing process, protecting consumers Compatible with every K-Cup®, OneCup™, RealCup™ capsule, and all private label cups BONUS: Starter Pack includes 6 k-cups and an iCup Reusable This single serve coffee brewer is equipped with Burrows’ patented SpinBrew™ Technology that spins, steams, and stirs inside the k-cup creating a mini French Press-like effect. Blogger Opportunity ~ Zeny® 5-1 Cavitation Machine Giveaway date: 9/4/2015 1:00 am CST - 9/28/2015 1:00 am CST Open to residents of the US 18+ One set of entries per person. Prize: One winner will receive a Zeny® 5-1 Cavitation Machine Tripolar Multipolar Radio Frequency Fat Removal Cellulite Reduce Body Shaping Machine (ARV $599) Check it out at here to see what a great product this is. #BloggerOpp Announcement Amara Organics Giveaway!